The following article is part of conference coverage from the NKF 2018 Spring Clinical Meetings in Austin hosted by the National Kidney Foundation. Renal & Urology News staff will be reporting on medical studies conducted by nephrologists and other specialists who are tops in their field in chronic kidney disease, dialysis, transplantation, and more. Check back for the latest news from NKF 2018. AUSTIN, Texas—Fluid restriction is the most disliked dietary restriction among hemodialysis (HD) patients, followed by phosphorus and potassium restriction, respectively, according to the findings of a survey presented at the National Kidney Foundation’s 2018 Spring Clinical Meetings. The survey, by Ann Lipowski, RD, and colleagues at Beaumont Hospital in Royal Oak, Michigan, included 338 HD patients at 5 outpatient dialysis units who were interviewed one-on-one by 6 registered dietitians. The study population was 57% white, 40% black, 2% Asian, and 1% Hispanic, and 54% of those surveyed were diabetic. Of the 338 patients, 32%, 27%, 18%, 11%, and 7% said they disliked fluid restriction, phosphorus restriction, potassium restriction, and high protein diet, and sodium restriction, respectively, whereas 5% said they did not dislike any of the dietary restrictions. A greater proportion of black patients than the white patients disliked fluid restriction (37% vs 29.4%), whereas higher proportions of whites disliked phosphorus restriction and a high protein diet (27.8% vs 21.6% and 15% vs 7.5%, respectively). Among diabetics, fluid restriction emerged as the most commonly disliked restriction (37.9%), followed by phosphorus restriction, potassium restriction, high protein diet, and sodium restriction (22.5%, 13.2%, 13.2%, and 8.8%, respectively). Further, results showed that diabetics requiring insulin to control blood sugar were more significantly likely to dislike fluid restriction than diabetics whose blood sugar is controlled diet (43% vs 23%). 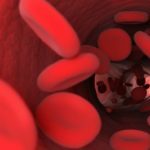 “This survey led us to question what is the best test to use to monitor blood sugar control in our dialysis population—hemoglobin A1c or fructosamine—as overall higher blood sugars may be contributing to the thirst experienced by some patients on dialysis, making it more difficult to adhere to a fluid restriction,” Lipowski told Renal & Urology News. Lipowski A, Pang Y, Zarouk S. Diet restrictions in end stage renal disease: What do patients dislike most? Data presented at the National Kidney Foundation’s 2018 Spring Clinical Meetings held in Austin, Texas, from April 10–14. Poster 322.